Oxford Cycling UK is part of Cycling UK, which is the national cycling charity aiming to encourage people to cycle while campaigning for better cycling infrastructure. We organise recreational Sunday rides (usually leaving from Broad Street at 9.30am) and occasional social events and special rides, travelling to places farther afield (eg Holland, Isle of Wight). Once a month (the worst winter months excepted), we have an “away-day” ride, starting away from Oxford: Wantage, Chipping Norton, Banbury, Witney, Princes Risborough etc. This allows us to explore places which would be inaccessible from the centre of Oxford. Our average pace is about 20 kmph (12-13 mph) and one of our experienced riders always stays at the back to make sure no one gets lost and to help with any mechanical problems. Our Sunday rides are a social occasion, and while some may enjoy the odd burst of speed up a hill, we always wait for slower climbers. Social riding means enjoying the 3 Cs: coffee, cakes and chat. Our Sunday rides start (usually at 9.30am) outside the Campus Store in Broad Street, Oxford. However, depending where you live, you can choose to join us at coffee, instead of at the start. For this reason, we publish the estimated arrival time at coffee. Some riders join us for lunch, though the arrival time is more difficult to predict. Members who have an account can book lunch from the ride page. If you don’t have an account, make sure you let the ride leader know (we always book lunch in advance). Another option, if you are busy or not sure you can manage a full day, is to ride straight home after coffee. To help those unfamiliar with local routes, on the last Sunday of each month, there will be a designated experienced rider to lead back home from coffee. We always try to vary our rides from week to week and our loops go out in all directions from the centre of Oxford. We avoid main roads as far as possible, stopping for coffee after about an hour and then lunch in a pub, where the food ranges from soup or sandwiches to a full Sunday roast (depending on the pub and the appetite of our riders). Distances range from 35-45 miles in winter to 50+ miles in summer, when the longer and warmer days provide an opportunity to explore more distant routes, perhaps even stopping for tea on the way home. It is important, before coming on the ride to make sure that your bike is in good working order. We recommend carrying 2 spare inner tubes, a bicycle pump, plenty of water and extra clothing and waterproofs if the weather is changeable. We also ask you to carry our emergency contact number card for use by medical services in the event of an accident. New riders do not have to be a member of Cycling UK to come on the rides, but if they cause any injury, damage or loss to the public or fellow cyclist, they may incur liability. Cycling UK members are covered for such, under the Club’s third party/public liability policy. Children aged 13-17 are welcome to join a ride but must have a signed Parental Consent form. Sixteen year olds living away from their parents as an independent adult are exempt from this rule. Children under 13 must be accompanied by a parent or by a responsible adult acting in loco parentis. A signed Parental Consent form is still required. Isis Cyclists is an informal member group of Oxford Cycling UK. 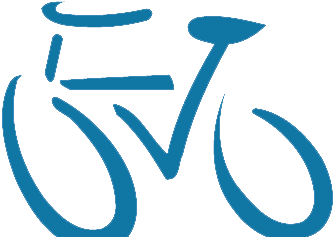 We run bike rides for women in Oxford with the aim of encouraging non-cyclists to get back on two wheels and commuters to enjoy leisure cycling. We offer a varied programme with distances from 5 to 30+ miles, and all rides are led by experienced and knowledgeable members of Cycling UK. The last Sunday of each month sees a joint ride with Oxford Cycling UK as far the coffee stop, from which we return separately while the main group completes the full day’s route. For more information, and to join our mailing list, please visit www.isiscyclists.org.uk.